Apple and other mobile platforms like Android might change the big three in gaming consoles faster than people think. Gamasutra has an article about Apple’s assault on the gaming industry. But as far as devices Apple will surpass Nintendo this quarter as Apple handily beats them each month currently. I believe that the Apple TV is also a notch in the future to console gaming, replacing the console with a thin client that can be controlled by handheld devices such as iOS devices. This may or may not happen but I think it will and it may be an Apple TV feature in the next year or two. The Apple TV is an iOS device. What will that mean? What form will it take? How soon will it come? All unanswerable. But Sony, Nintendo, and even Microsoft are all officially on notice as of today. Do consoles anchored to a TV suddenly seem like the old way? To the argument that the Appstore is full of bad games, it is, but it is also the secret to their success. Apple built a platform and let indies in. Apple was very critisized about their approval process but Playstation, XBOX, Nintendo Wii, Nintendo DS, Sony PSP all have more harsh approval processes and dont’ even let indies begin developing until they approve. The result is higher quality games on the latter devices however it is the same problem the web brought. I think that was Nintendo and Sony’s downfall in that they didn’t jump on the downloadable store AND allow indies in. There are lots of fart apps that come with allowing almost everything but you also get stuff like Angry Birds, Monster Dash, Real Racing, 2XL, Gameloft etc. I’d rather let everything in and let the charts decide what is best rather than it be a closed market to indies from even trying. But that comes with lower quality games for the most part except those standouts that might have been rejected on Nintendo or Sony platforms. 99% of the Appstore is crap but 1% is awesome, that 1% might be bigger than the quality games that make it to the PSP or DS. I think that Google O3D and OpenGL ES success on iPhone games probably combined to get this in motion. OpenGL and very basic video cards are now standard in most machines out there. Unity3D actually published hardware statistics on casual gamers (web-based games) ever so kindly and shows that even though there are some older Intel cards out there, for the most part machines nowadays have a video card capable of supporting at least low-poly 3d and hardware supported 2d rendering in real-time for games, user interfaces and more. This is exciting news, it appears the movement of the web gaming market is getting much more capable and is accelerating the innovation of hardware accelerating the web. 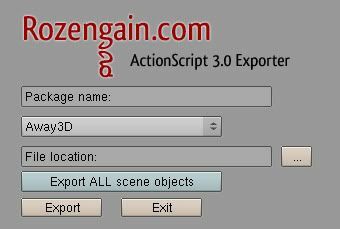 Rozengain or Dennis Ippel of AKQA updated probably one of the tools I use the most for flash 3d and that is the blender to as3 exporter. 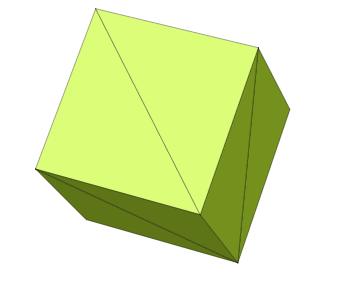 This simplifies loading in the meshes you have and lessens the bulk of the COLLADA format. COLLADA is great but flash is still client side and fairly memory intensive for 3d so loading in models directly to as3 is nice if flash is your presentation tool. 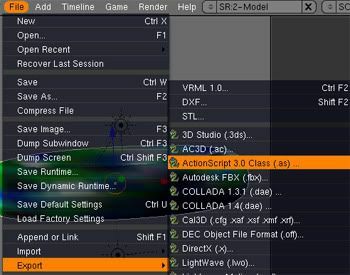 AS3 Blender exporter has been updated to allow multiple object export. Also in April is was updated to export quads and modifiers. One concern you might have is statically binding the code within a main swf fileon compile and resulting file size compared to loading in the DAE dynamically. But you can just load these in as you would external DAE COLLADA files as compiled swfs and since it is just code it is very compact. This adds some duplication of code (such as tweening libraries or the 3d engine source as needed) but allows a more horizontal loading or lazy loading of meshes when needed. This is just another option to get 3D models into the flash 3d engine of your choice in addition to COLLADA, some MD2 support and limited ASE support. This is an awesome project that keeps getting better, thanks Rozengain. 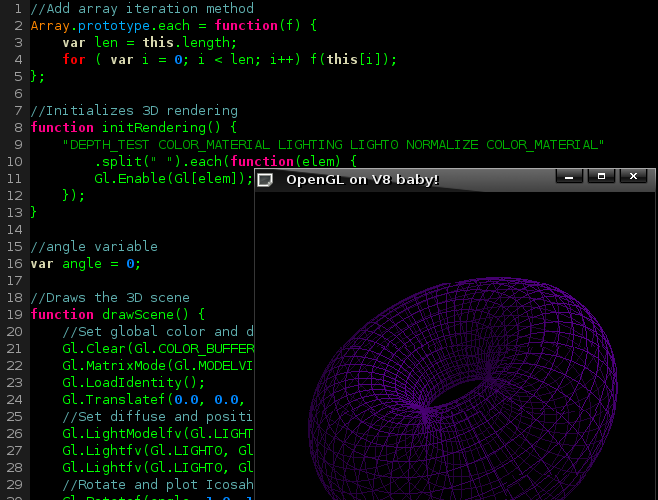 The ARToolkit has been ported to be used with Processing. Augmented Reality and the base of the original ARToolkit has taken the flash world by storm with the FLARToolkit and really the speed updates of the AVM2 in Flash9 and Flash10 to be able to pull off the OpenCV calculations needed on the bitmap data from each frame of a camera. It has been around quite some time but now web based engines such as Flash and now Processing can take advantage of this awesome technology. The Simple ARToolKit Library for Processing (PC) is just a basic port of single marker AR support and it currently only runs on windows. Den Ivanov did some cool experiments with this kit but adding the capability to do multiple markers. In his videos the processing runtime seems to process the render pretty quickly. It seems that most Flash AR is around like 5-10 frames per second for the detection. ARToolkit for processing tests from den ivanov on Vimeo.